Book Review: United By Their Royal Baby by Therese Beharrie. PLUS Giveaway! Happy New Year Everybody!!! Hope you all had a happy and safe one and are looking forward to 2018! I'm kicking off the New Year with Therese Beharrie and the first book in her Royal Duet series. I actually read this book last November, when I had a really good book week before starting a new job. I read it in a day and a half! Therese mentioned that I may have been the very first person to finish it, which I felt quite honoured and proud of. 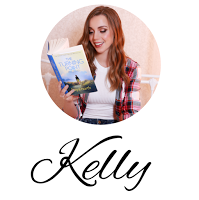 I never take for granted how nerve wracking it must be for authors, sending their little book babies into the world, so it always means a lot when they trust me with them. Thank you Therese! 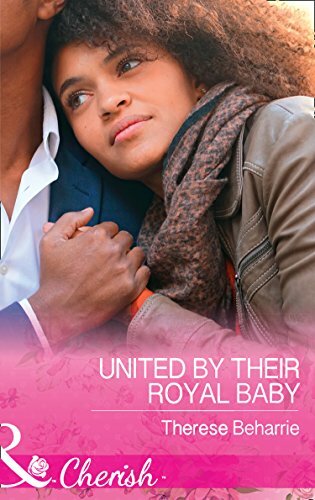 In 'United By Their Royal Baby,' we meet Queen Leyna and King Xavier. Once the best of friends, they've spent the last ten years ruling their kingdoms and putting duty first. When they find their kingdoms under threat, they come to the conclusion that a marriage of convenience and an heir to their thrones, may just be the only thing that could protect their people. While this may seem like a prefect solution, it's not going to be easy. Not when it stirs up all the emotions of their twenty year friendship and what could have been if Leyna hadn't walked away from her one true love. Can they be honest with each other and themselves and finally live the life they always dreamed of? This book was both frustrating and compelling!! Frustrating in that I loved the relationship between Leyna and Xavier straight away, their history, friendship and love for each other shone from the pages, which meant I kept getting frustrated at them for them for walking away from each other. I wanted to sit them both down and give them a good talking to, royalty or not. It was clear that they only had eyes for each other, even if duty came in the way of that, in the ten years since their friendship ended. I was happy when they started to open up and be honest with each other, because just from the prologue alone, I enjoyed the easy banter between them and the compassion they shared for one another. The moments when they couldn't resist flirting with each other and almost fell into their old ways, I really liked. I could feel the sparks flying! I found myself really being drawn into the setting in this story. I liked that it was different and interesting. Leyna's castle sounded magical, even though it wasn't a fantasy land. I could picture her rooms and the kingdom, which made the book feel like an escape and somewhere I could disappear to. I am very much looking forward to the next book, 'Falling for his convenient Queen,' as I have a feeling Nalini, Xavier's sister, is up to something! You can find both books in the Royal Duet here! BUT...because it's New Year and because Therese Beharrie is so lovely, she is giving you the chance to win the Royal Duet, not once but twice!!! That's right, for your chance to win with today's post, all you have to do is: comment below one of your reading goals for 2018! That's it, it's simple! Then join us again next month for your next chance to win again! reading goals: to continue to read diversely, my goal for 2017 was to read more boooks by authors of colour about POC so i'm carrying that over to this year and im hoping to read more diversely in other areas as well: books with disabled MCs, MCs with mental illnesses, trans MCs. hopefully ownvoices works in these categories. more books with queer POC as well. Wow, that's a really good reading goal. Those books will definitely be eye openers and be very interesting! That's a great goal to have. Love this author!!! Her books are fab! I agree!! Thank you for reading! To not feel guilty when I take some time out from being a mum and pick up a book to read. Hopefully it means I will read much more this year and benefit from the best form of escapism! PS Adore Therese and she is in my TBR...think she’ll be my next book after reading this review!